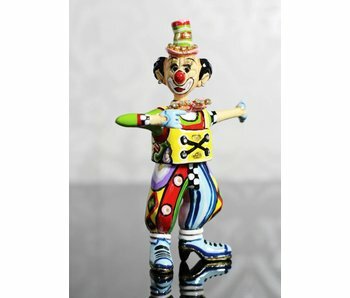 Small animal figurines, fairy animals, clowns and other small sculptures from the Toms Drag midi series. 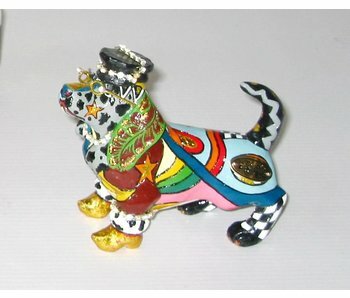 Please note that these handpainted collectors items are too large for the miniature cases. 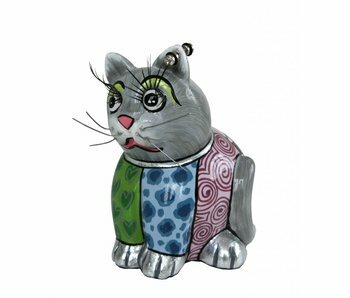 Hamster Elivira - S is a small hand-painted animal figurine of the Toms Drag Silver Line. This rodent has a height of 9 cm and is made of marmorin. 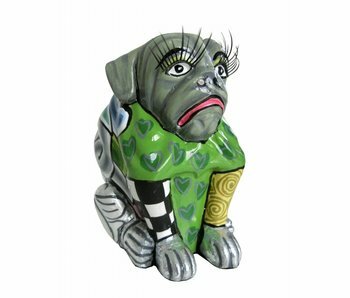 Pug Albert is a small hand-painted animal figurine and part of the Toms Drag Silver Line. 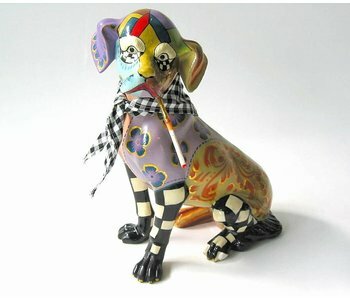 The dog has a height of 9 cm and is made of marmorin. 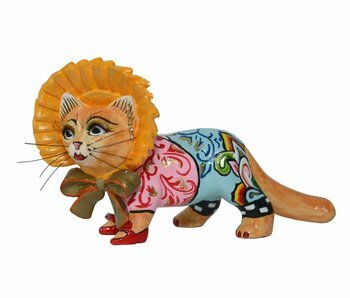 Cat Luna - S is a small hand-painted animal sculpture of Toms Drag Silver Line. This cat has a height of 9 cm. Made of marmorin. Pig or pig Little Charlene - miniature medium. This miniature of the larger piggy bank can not be used. 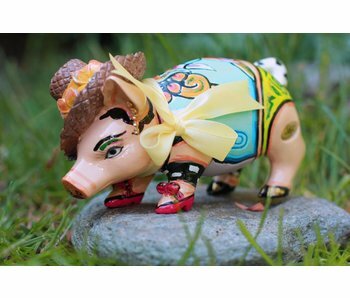 Piggy bank as Funny hand painted pig with a rhinestone earring and a yellow bow around the neck. Puss in Boots Peter. Cat with boots. 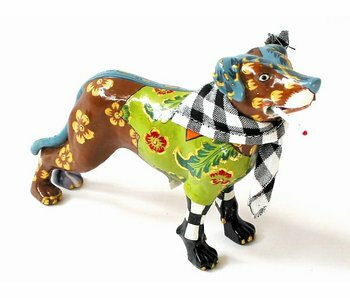 Cute handmade animal figurine, which is also a large variation is for sale. Toms Drag the entire animal collection is hand painted and detailed. 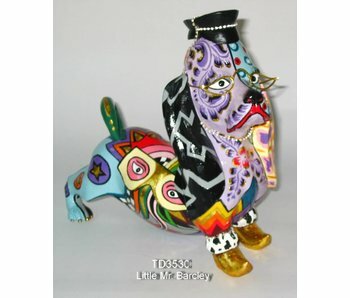 Mini dog, dog figurine Little Mr. Beasley by Toms Drags. Handmade. Size 12 cm. 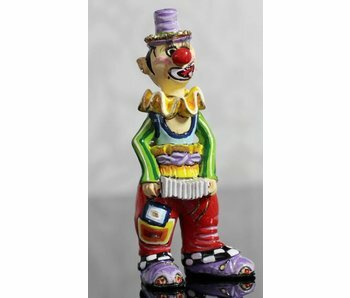 Happy smiling miniture Drag clown Max, made of hand-painted marmorin. This is one of five mini characters. (See also our Large ones). 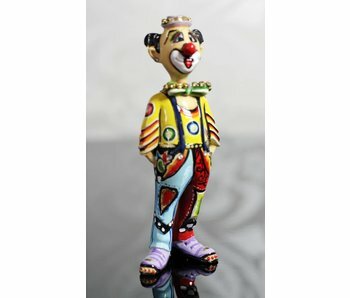 Happy smiling clown Ugo - mini, made of hand-painted marmorin. 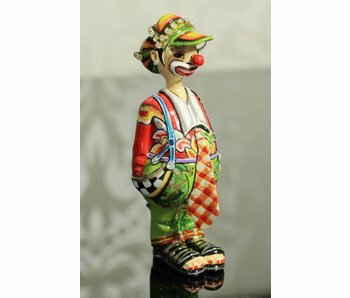 Happy smiling Drag clown Moretti, made of hand-painted marmorin. This is one of five mini characters. (See also our Large ones. Male mouse with hat, resting on a stick. 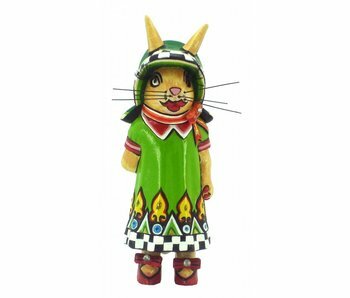 The hand painted figurine has long whiskers and eye lashes and is made of marmorin. This miniature from the Fairy Tale Collection has a height of 10 cm. 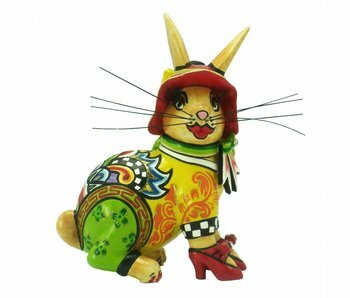 Hare with red shoes and on top of its ears a hat. Made of marmorin. A miniature from the collection Fairy Tales. Height 8,5 cm. 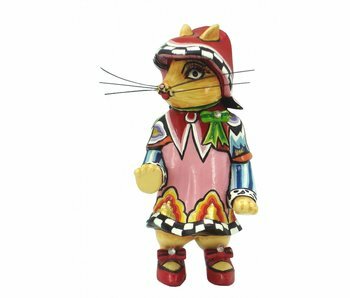 Cute dressed female cat Little Ella from the Fairy Tale collection. Her red shoes are adorned with rhinestones. 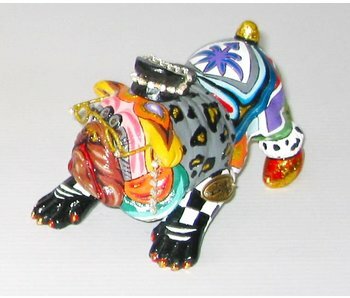 Made of hand-painted marmorin. Height: 9 cm. 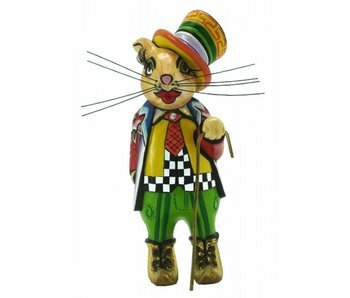 Cat Little Paul is part of the fairy tale collection. He wears a colorfull suit and on his head a hat. The \'golden\' shoes are covered with rhinestones. Material: marmorin. Height 10 cm.